A single mother of two girls, Yesenia Martinez was accepted into the Family Self-Sufficiency (FSS) Program in March 2005 with the West Palm Beach Housing Authority at a time when she was unemployed and had just declared bankruptcy. FSS is a program that enables HUD-assisted families to increase their earned income and reduce their dependency on welfare assistance and rental subsidies through guidance from a counselor. Eight months into the FSS program, Yesenia found a full-time job, set up an Individual Development Account (IDA), and went through financial and budget counseling with help from the housing authority. IDA’s are a special savings account that match deposits made by low to moderate income families to help them save for education, job training, homeownership, or to start a small business. 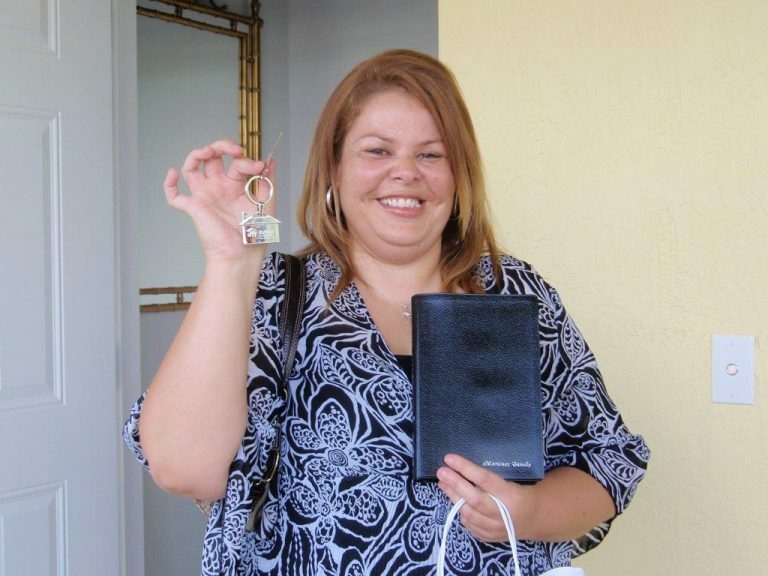 In this case, Yesenia chose to use her savings to purchase a home. After her bankruptcy was discharged in 2008, Yesenia’s credit score went up, which allowed her to begin the process of buying a home. The following year, she was approved to purchase a Habitat Home in Jupiter, Florida, and after fulfilling the required 400 equity hours, they began construction on her home. Thanks to funds from her IDA savings and the FSS Savings Program, she was able to put a substantial down payment on her new home. Yesenia was approved for the Section 8 for Homeownership Program where she continued to receive housing assistance for her mortgage until 2013. She has since exited from the assistance program and is now a proud, self-sufficient grandmother living in her beautiful home. Read the latest issue of The Bridge from HUD’s Office of Housing Counseling or subscribe at TheBridge@hud.gov.